National Geographic has built its reputation on capturing beautiful imagery of wild animals in their natural habitats. 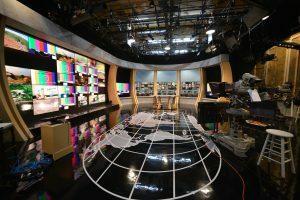 Following the recent telecast of “Earth Live,” the network can add “live broadcast specialist” to its list of brand capabilities. Over the course of the two-hour program, cinematographers transmitted live footage of wildlife and ecosystems from dozens of locations around the world. The production teams used cutting-edge technology including thermal imaging systems and ultra-low light cameras from Canon to showcase a number of wildlife firsts. Produced by Bunim-Murray Productions, Berman Productions and Plimsoll Productions for National Geographic, “Earth Live” was simulcast globally on National Geographic, Nat Geo WILD and Nat Geo MUNDO in 171 countries and 45 languages on July 9. “Earth Live” was anchored in a New York City studio by hosts Jane Lynch, Phil Keoghan and zoologist Chris Packham, who kept the action moving. The two-hour event gave viewers an unfiltered, real-time broadcast feed of Earth’s wildlife in various natural habitats with the use of 51 cameras shooting simultaneously in 28 locations across six continents. The brainchild of executive producer Al Berman, “Earth Live” was designed to bring the kind of excitement and immediacy to a wildlife show that the live TV veteran had done for the “CBS Evening News,” a plethora of sporting events (including the 1998 Winter Olympics in Nagano, Japan), “Survivor” and decades’ worth of other live telecasts. To understand how this project came together, we have to back up two years. The idea of producing a live nature documentary spanning the globe had been percolating in Berman’s head for a while but there had always been a significant, even prohibitive challenge: a substantial number of locations would be shrouded in darkness at any given time. To fudge it with lights would undermine the concept, and to rely on the imagery of traditional night vision and thermal cameras would compromise the spectacle. Thorpe obliged and Berman went out to shoot a pre-arranged test: a toy lion lit only by the moon. “I could barely see anything, but on the monitor, you could just see it! It looked like daylight,” Berman says. He tested the camera further at Wildlife Waystation, an animal sanctuary in Los Angeles County, and decided the camera’s sensor could capture images rich enough show to National Geographic and pitch his idea. The Canon camera underwent additional testing in the Sabi Sands of South Africa’s Kruger National Park as part of a safari organized by the company Wild Earth, which produces the live streamed YouTube series “Safari Live.” Frequent collaborator, technical expert and producer Gayle DePoli worked with Berman to supervise the testing of the camera, which was mounted with Canon’s Cine-Servo 50-1000mm (T5.0-8.9) lens. In the field, the cameras would use a variety of Canon optics. “The most important thing we wanted to learn was how much to dial up the dB,” says Berman. The magic number seemed to be +48 dB: “That was enough light to make the [images] look almost like daylight. If you cranked it any higher, it was too grainy,” Berman adds. Earth Live showed footage of macaques in Thailand using tools (rocks) to feed on oysters exposed with the low tide. The ME20F-SH camera, dubbed the “Moon Cam” by cinematographers during the live production, was perfect for night coverage of lions in Kenya or hyenas in Ethiopia. It was also deployed in locations that would pass from dusk through night during the telecast, as in the case of the Bracken Cave in Texas, where more than 20 million bats fill the skies at magic hour. Not all the locations required that kind of light sensitivity. Locations that would be shot during the day would be covered with an amalgam of gear, primarily chosen by that location’s DP, including Sony PMW-F55 and PDW-F800 cameras and an assortment of Panasonic VariCams. The producers had great flexibility so long as the cameras could output 720p for the live broadcast. In many cases, the shooters were also capturing additional material in a variety of formats on external recorders. Although “Earth Live” was broadcast live, recording and creating B-roll package for playback started days earlier. In addition to enacting safety measures on the location shoots, producers had to devise a plan to transmit video signals from these remote locations to the New York control room. 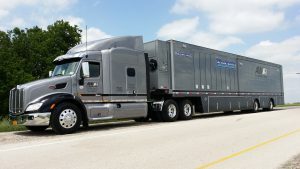 AMV (All Mobile Video) was involved in a lot of the transmission solutions, and the live production was all done through an AMV studio facility in Manhattan. In Alaska, camera operators and scientists attempted to capture humpback whale DNA with a custom drone called the “snotbot.” Footage of the operation was captured with another drone camera. To capture footage of humpback whales off the Alaskan coast, AVS brought in an aircraft with a Cineflex gyro-stabilized camera mount as well as a boat and two drones. Wireless feeds from all the cameras were picked up on the boat and switched out to an uplink on the nearby shore. “It was very complicated,” Berman recalls. Global media services company MX1 provided satellite transmission and production support—frequently in conjunction with local partners—in ten of the show’s locations, including Fiji, Australia, Ethiopia, Alaska, Brazil, Finland and Thailand. The Fiji location was one of the most complex, as cinematographer Andy Casagrande would be following bull sharks live underwater. During this segment, MX1 would receive the feed on a boat and transmit it back to the studio via microwave to flyaway using multiple satellites. 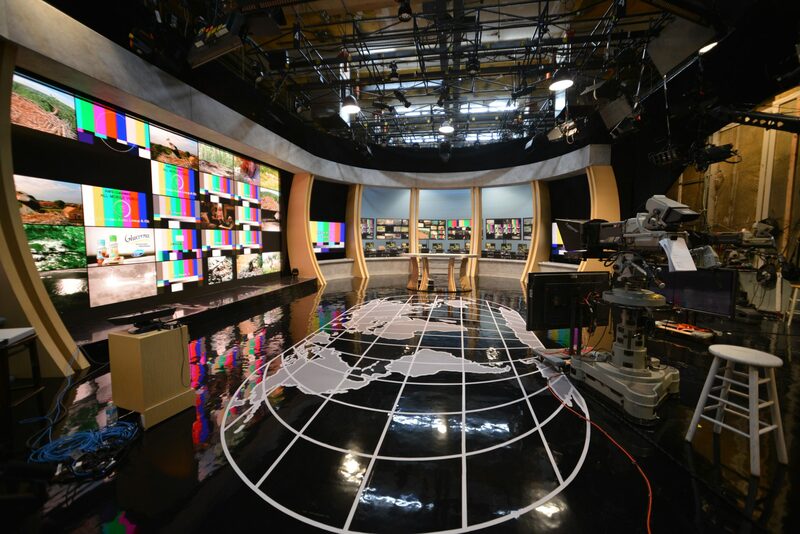 Over the course of “Earth Live,” seven feeds (two from Africa and Europe and three from North America) were statmuxed at MX1 facilities and transmitted to the AMV studios in New York City for live studio integration with the broadcast. “Even the comms were extremely challenging,” Berman adds. Many of the remote setups were far from cell range. The team approached each setup differently, using cell service where possible or direct satellite bandwidth to communicate from the studio to the camera crews and various combinations, as well as Wi-Fi, for crew to communicate with one another within a location. On the night of the telecast, AMV’s main transmission room brought in the feeds from around the world. Director Glenn Weiss, director of the Academy Awards, Tony Awards and the most recent Democratic National Convention—essentially some of the most high-pressure, complex gigs a live director can get—called the shots in the control room. Berman was stationed in the main control room with Weiss. Berman went into the production knowing that uncertainty was the only certainty. The planned shoot of the flamingos of the Yucatan had to be scrapped when the birds unwisely chose to migrate to an area infested by crocodiles. Even where they had a potentially excellent setup, there was never a guarantee the animals would behave as expected.